Shopping for everyone who made their way onto the “nice” list can be a challenge. But, there’s no need to get your tinsel in a tangle this holiday season – we have you covered. 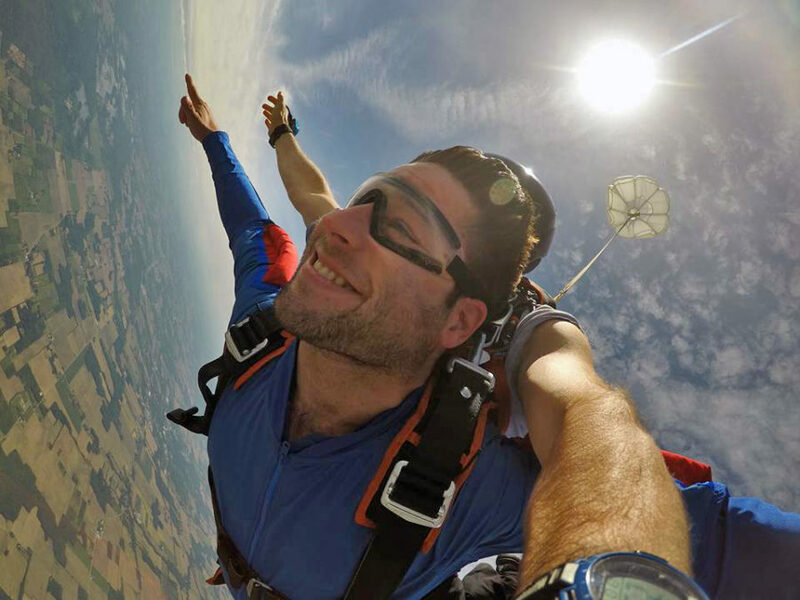 Here are 5 reasons why a skydiving gift is the greatest thing ever! Could that be a skydiving gift certificate? Sitting around opening gifts is a time-honored tradition for many. Remember how giddy you were as a kid? A stocking full of surprises, maybe a pile of presents dressed in a crinkling paper – and above all the palpable suspense of “what did I get! ?” Well, the excitement doesn’t have to end just because you have aged into adult territory. Ready to get someone jumping for joy? Skydiving is a gift that is filled with possibility and positively guaranteed to be a great gift to receive. How many of us unwrap or unpack our gift bags and boxes … and smile (but ever so slightly cringe inside with disappointment). Go ahead, admit it. This is a judgment-free zone. We know it’s not that you’re ungrateful. Really the problem is that whatever new “thing” you’ve been given isn’t something you necessarily need, or it’s something you already have. Now, imagine you’re the one that gave the gift that’s destined to be re-gifted. Ouch. So, avoid the whole debacle with a gift people won’t pass along. The clutter struggle is real. The number of things we have is ever-growing. Unnecessary items fill our closets, attics, garages, and storage units. Research consistently shows stuff just doesn’t make us happy. Sure, when you first get that shiny new gadget or the shoes you’ve been eying, you feel excited. But, the satisfaction is short-lived. Experiences, like a skydive, create memories and produce a longer lasting feeling of fulfillment. A happy skydiver is enjoying his skydiving gift certificate. While the glimmer and glamour of the holiday season often fade, the joy for the tandem skydive experience your recipients have will most certainly last. Jumping from an aircraft into the great blue beyond is a feeling so free and so far from any other experience, jumpers remember it for the rest of their lives. Now that you know why a skydiving gift is the most amazing thing ever, get a jump-start on that holiday shopping and put a gift certificate in their stocking that will knock their socks off!